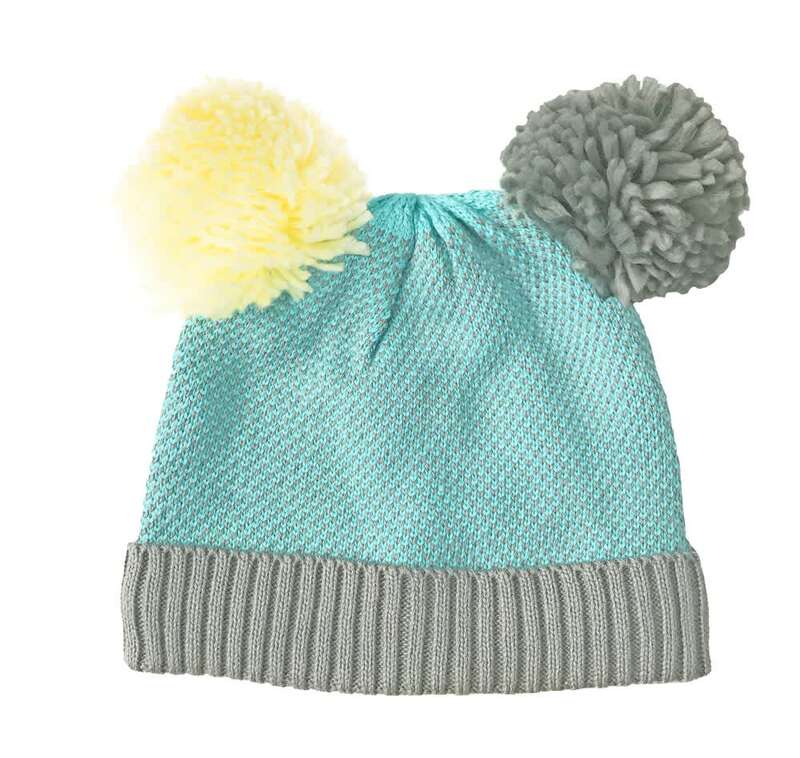 Double Pom Poms Hat by Rockahula, grey and lemon attached to a grey/aqua knitted hat. Super soft fleece lining to keep little heads warm. Duck Duck Goose in Derbyshire, United Kingdom.